New kicks for the football team. With college football's kickoff on the horizon, another storied program has been laced up in new Nike trainers. This time its the North Carolina Tar Heels, more known for getting fresh on the basketball court, but continuing to make strides on the gridiron. Nike finally introduced argyle print to the Heels' uniforms this season, so it's fitting to see it running down the heel of this Free Trainer 5.0 V6. 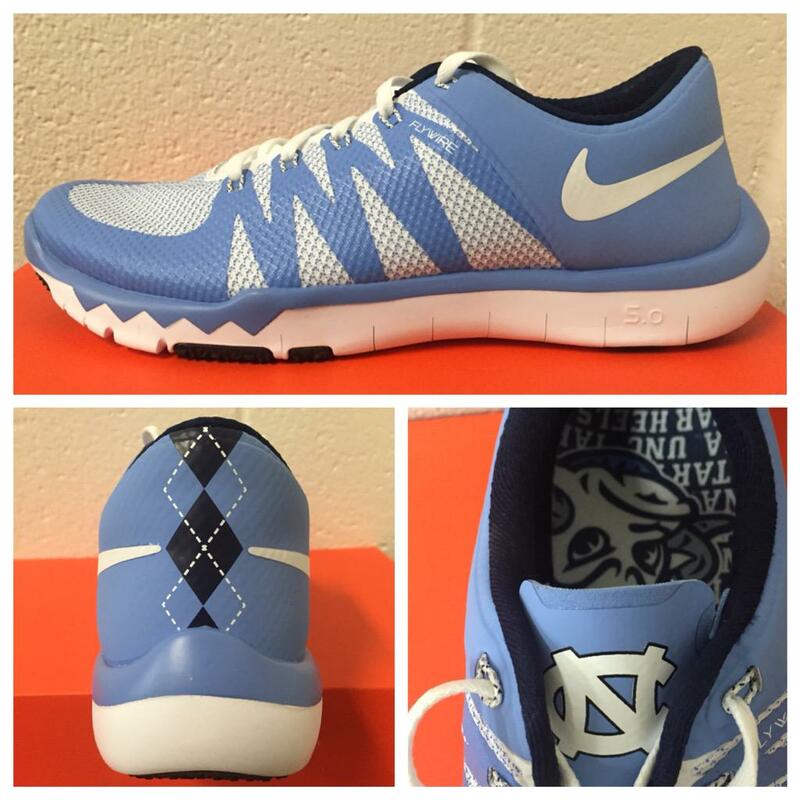 The shoe is also customized with UNC logos on the tongue and insoles. While not officially announced, school-inspired trainers are expected to release sometime this month.